Do you have the time to listen to me rhyme? 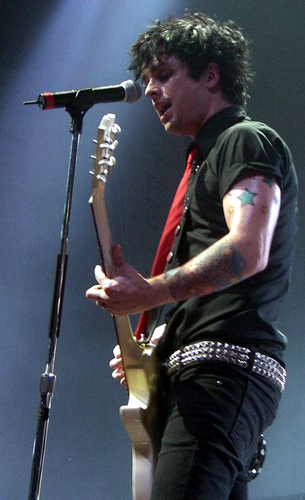 When Billie Joe gets stuck, he turns to haiku. Creative copywriting is not my strongest asset. Want to spell out your value proposition in a brochure or datasheet? I’m your guy. Want to brainstorm headlines for a new ad campaign? Well, I’ll give it a shot. Mind you, I’m not satisfied with this. I’ve worked as a sports reporter and as an in-house B2B copywriter for an IT company. Neither gig really challenged me to improve as a creative writer. So, I take matters into my own hands. I’m a big believer in stretching my boundaries by forcing artificial constraints – either time or space – on my writing. Everything you need to know about the 21st century, via 15th century technology. Read more copywriting from the CopyBrawl! I also like to play around with haikus. You know, three-line poems with five-syllable lines sandwiched around a seven-syllable line. Why haikus? Because the syllable structure really forces you to pick just the right word. That and because a Shakespearean sonnet wouldn’t fit in a tweet. Teens’ feelings checklist: / Boredom? Check. Loneliness? Check. / 90s me nods yes! Billie Joe grows old. / Anger. Resentment. Regret. / Aging for the lose. Now it’s your turn! I do have the time to listen to your rhyme. Review your favorite album – Green Day or otherwise – in haiku form and post it in the comments below!